Siren #1 Yelp push & release control button, siren turns on/off so operator can make unique emergency siren sound. Siren # 2 Wail push control button and siren turns on and stays on until control button is pressed a second time. AIR HORN push & release control button, air horn turns on/off so operator can make unique emergency sound. MICROPHONE the P.A. system is controlled by the microphone provided. 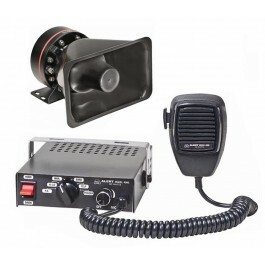 Wolo’s Model 4000-2 is a 12-volt, 80-watt full feature electronic siren and P.A. system that has re-designed to offer more features that first responders demand! 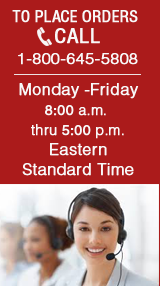 Built with state-of- the-art electronics to ensure years of dependable service. The adjustable metal swing bracket, combined with the controller’s compact size, makes mounting possible in vehicles that have limited available open space in the dash area. There are five-(5) powerful siren sounds and a P.A. system that has an adjustable volume by using the rotary on/off control. There is also a manual override switch that the user can press and release for short blasts of two-(2) siren sounds; air horn sound or fast yelp siren sound. The front panel of the controller is illuminated by long life LED’s providing needed visibility at night. Model 4000- 2 includes a P.A. system that has a noise-canceling microphone producing high quality voice amplification without feedback or squeal. The microphone’s push to talk button has been designed to override any siren sounds in use for P.A. on demand. Comes complete with an 80-watt siren speaker, metal swing bracket for controller and mounting hardware.